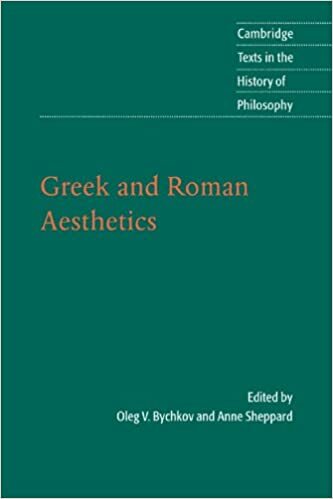 This anthology of philosophical texts by Greek and Roman authors brings together works from the late fifth century BC to the sixth century AD that comment on major aesthetic issues such as the perception of beauty and harmony in music and the visual arts, structure and style in literature, and aesthetic judgement. It includes important texts by Plato and Aristotle on the status and the role of the arts in society and in education, and Longinus' reflections on the sublime in literature, in addition to less well-known writings by Philodemus, Cicero, Seneca, Plotinus, Augustine and Proclus. Most of the texts have been newly translated for this volume, and some are available in English for the first time. A detailed introduction traces the development of classical aesthetics from its roots in Platonism and Aristotelianism to its ultimate form in late Antiquity.